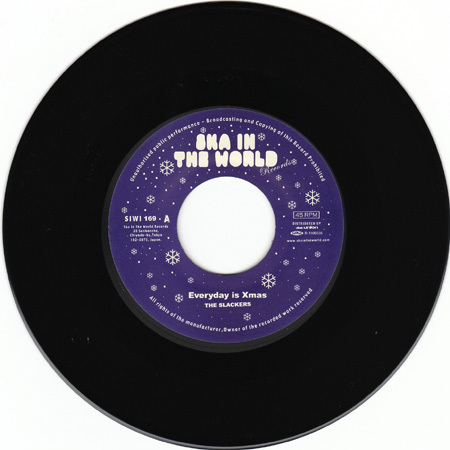 Ska in the World Slackers 7" number 5. This one surfaced, oddly enough, during the 2011 Christmas season. It is still available as I write this, but is likely to become as scarce as the others very soon. It is probably limited to 300 copies, just as the earlier ones were.